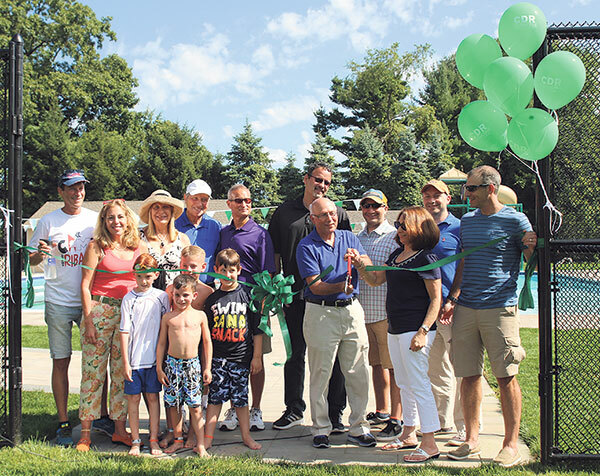 Some 75 people gathered at JCC MetroWest’s Camp Deeny Riback in Flanders on Aug. 8 for the official dedication of the new pool in memory of Florine Peck. 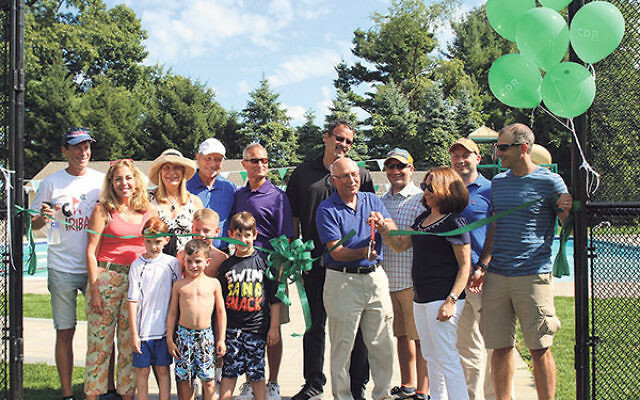 The $800,000 aquatic facility, designed and constructed by New Jersey-based Green Outlook, features a heated pool with swim lanes and a slide, as well as landscaped open areas for play. It replaced the original camp pool, which, JCC chair Larry Rein said, was “on its last legs.” The new pool was in use for the entire 2016 summer camp session. Florine “Flo” Peck of Montville, who served as executive assistant at JCC MetroWest’s Cooperman JCC in West Orange for more than 23 years, lived in Montville and had a degree in early child development and education from the University of Connecticut. She died in August 2015. Last November, the JCC held a Flo Peck Memorial Swim to benefit cancer research. Jewish Federation of Greater MetroWest NJ officials described Peck, as “the embodiment of JCC organizational history,” someone who “had the answer to every question” and who was the “secret sauce” that streamlined all tasks. Peck’s family gave a leadership gift to the pool in her memory, and the other major donors — Steve and Sharon Seiden, Judy Lieberman, Mindy Cohen and David Bershad, and the Riback family — each gave a minimum of $100,000, didn’t need to be asked twice about the naming, said Rein. “Flo loved camp and swimming,” he said. “This was a perfect [naming] opportunity” for her.